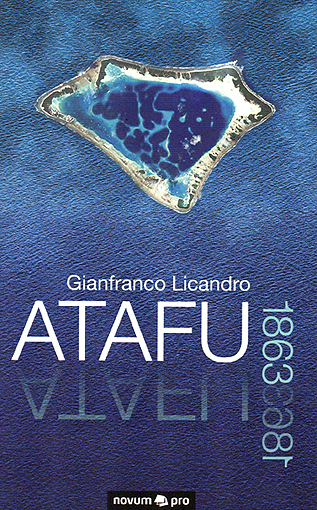 Atafu, Tokelau (South Pacific), February 16th, 1863. Nuanua share a bitter fate with 36 other women islanders: her husband was captured together with all other men of the island, who were still capable of working, by the crew of the Peruvian ship “Rosa Patrizia”, to be sold as slaves in a far away country. The loss of her husband awakes many memories in Nuanua, reaching back to their first encounter in Samoa and as far back as her childhood. They got to know each other in Apia on Samoa in the house of August Unshelm, the consul from Hamburg and managing director of the company Godeffroy. The journey back to Nuanuas past is being staged with narrations (through the dialogue with Tala) and by means of displaying her thoughts through scenic events. Pictures of her feelings too are staged by means of lyrical recitations, combined with pieces of piano music. A compilation of works of the most renowned composers of the first half of the nineteenth century such as Beethoven, Chopin, Liszt, Schumann with works of poets of the same period such as Eichendorff, Heine, Leopardi among others. All characters have really existed with the exception of “Tala” and the piano player “Grazia Francesca”. All the names are truly depicted too: Maka, the missionary, who lived in Atafu, Henry Gee – his superior – August Unshelm the consul from Hamburg and Foli, Atafu’s chieftain (who had the nickname “Oli” given by his wife). August Unshelm died in a shipwreck one year later, at the end of March 1864, whe a hurricane sank his ship “Charlotte” near the Fiji islands. Foli never returned to Atafu. Of all the men who were abducted on February 16th, 1863, only one came back after 30 years…. It is not known what became of her. The only thing we know is, that she lost her and Foli’s child she was expecting , shortly after the 16th of February. Annette von Droste - Hülshoff: Letzte Worte (Foli – Off voice). Robert Schumann: “Träumerei” (Grazia Francesca) 3’18”.